Around 1900, blue fields could be seen across Wallington, Carshalton, Waddon and Sutton. The area was famous for its lavender and helped companies such as Yardley build an international reputation. In 1996, the Local Lavender Scheme was established on the site by local environmental charity BioRegional, with the London Borough of Sutton, Downview Prison and sponsorship from several souces. 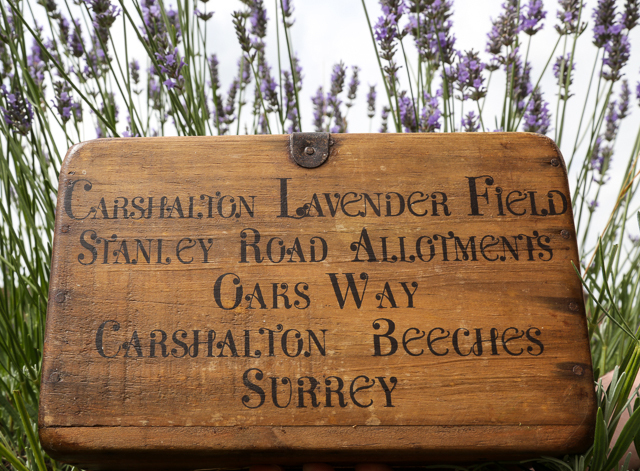 The Scheme aimed to restore the world-famous lavender industry of Carshalton and Mitcham. Three acres of disused land were planted with Lavandula Intermedia. Cuttings were collected from the gardens of local residents, and are believed to be lavender from the original fields in the area. The cuttings were grown on through a horticulture project within HMP Downview. After two to three years, the lavender was ready for planting. Prisoners on day-release worked with staff from BioRegional to clear the site and plant the lavender. We held our first community harvest in 2001. In the same year,the Heritage Harvester was created. This fabulous contraption was custom built from scrap and recycled metals by an engineering team from Cranfield University, led by Dr James Brighton, consultant engineer to Channel 4’s Scrapheap Challenge and Junkyard Wars. The Heritage Harvester was specially designed to harvest narrow rows of lavender without damaging the plants, and demonstrates good re-use of materials from second-hand agricultural machines, a rotator and a quad bike. It served us well for the first few years but then we discovered a lighter, easier and more efficient way to harvest the field – with a tea-cutter – and the scrapheap challenge harvester was returned to the scrapheap! 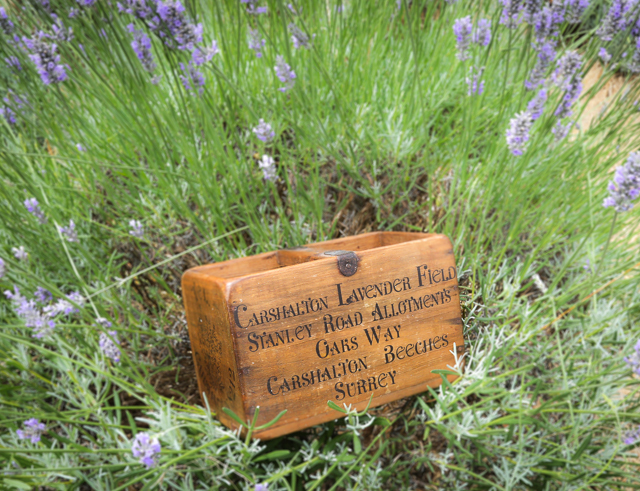 The Local Lavender Scheme became ‘Carshalton Lavender’ in 2003 and has been managed by a team of volunteers since. The annual harvest has grown in popularity, and the flower crop has flourished each year. In 2007 we were honoured to be named Conservation Project of the Year in the Observer Ethical Awards. In 2009, thanks to a generous grant from the Thames Community Foundation, we were able to purchase our own still for the distillation of the field.